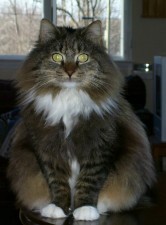 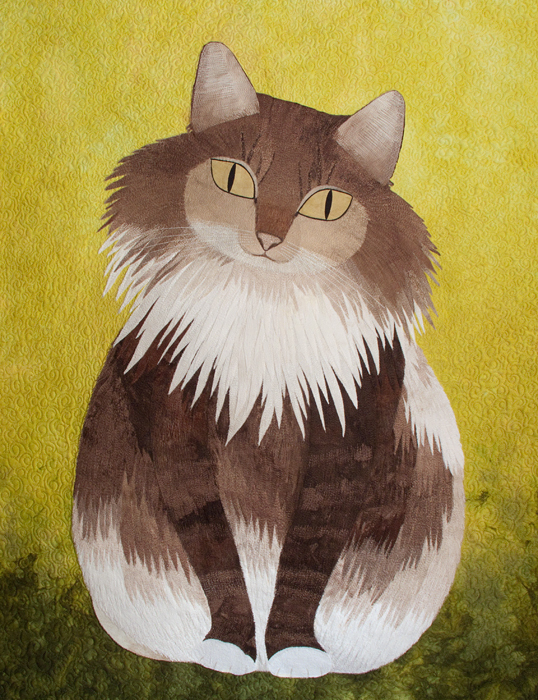 Mufasa was inspired by a friend’s very beautiful Norwegian Forest Cat, a stray found at the race track. I used hand dyed fabrics. 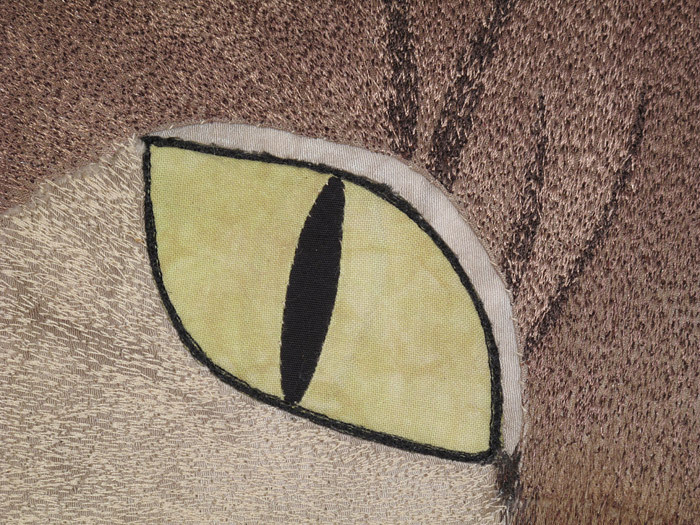 Underneath the heavily quilted Mufasa are hundreds of small pieces in a variety of shades of brown, beige, whites. 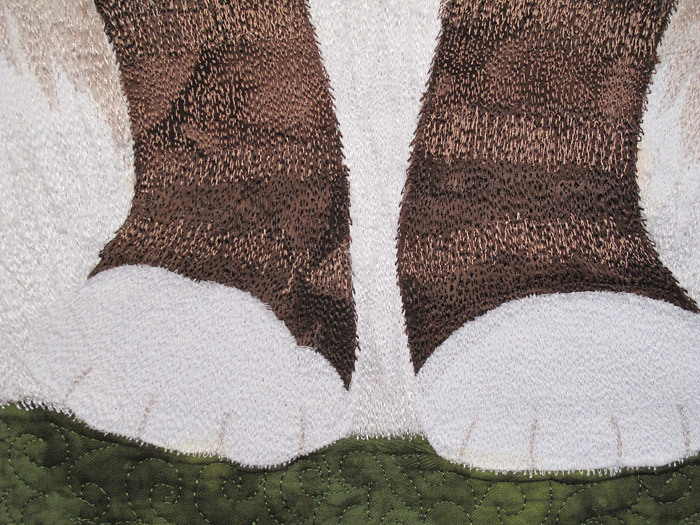 He is Machine appliqued to the background and then free-motion quilted.